Do you have children or dependents? Do you make above average income and cannot take the tax credit from prior years? If you answered “yes” to both questions, then I got great news for you. With the recently passed new tax law, you might be able to take advantage of the new and improved 2018 child tax credit. Credit went up from $1,000 to $2,000 per kid. Your kid must be under 17 at the end of the year to claim the credit. So if your income is below the limit, you can take the full credit. But if it falls between the income range, then you can only make claim a partial credit. But if your income exceeded the limit, you cannot take the credit. They also passed a nonrefundable $500 “family credit” for other dependents. Examples are your aging parent or your kid who is 17 years or older. One thing I want to point out is that – this is a credit, not a tax deduction. While a deduction reduces your income, a credit reduces your tax dollar-for-dollar. So, for example, if you have a tax due of $2,000 for the year, and have a $2,000 child tax credit, your tax bill drops to zero. 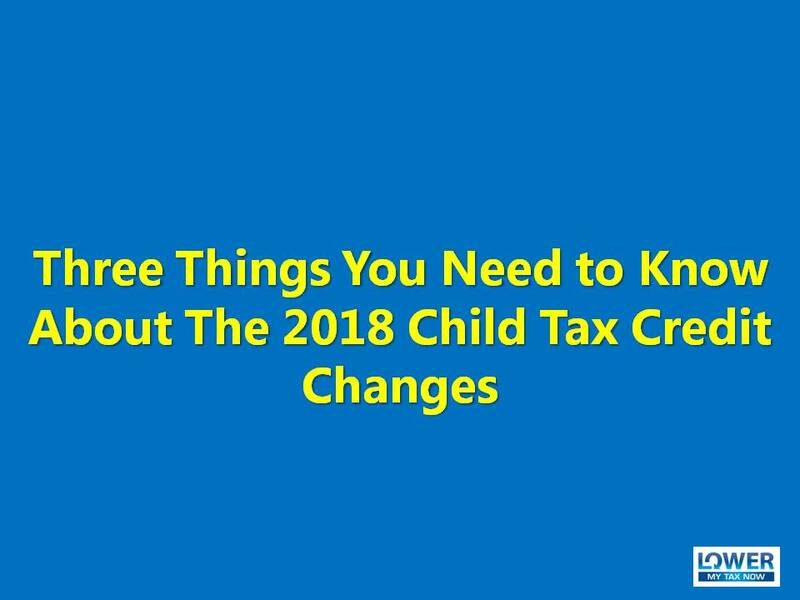 To recap, here are the three things you need to know about the 2018 child tax credit: 1. The tax credit doubled, 2. Income range huge increase & 3. Other dependents’ $500 credit.